You won't need alchemy or a magic wand to make these magical projects inspired by the world of Harry Potter. 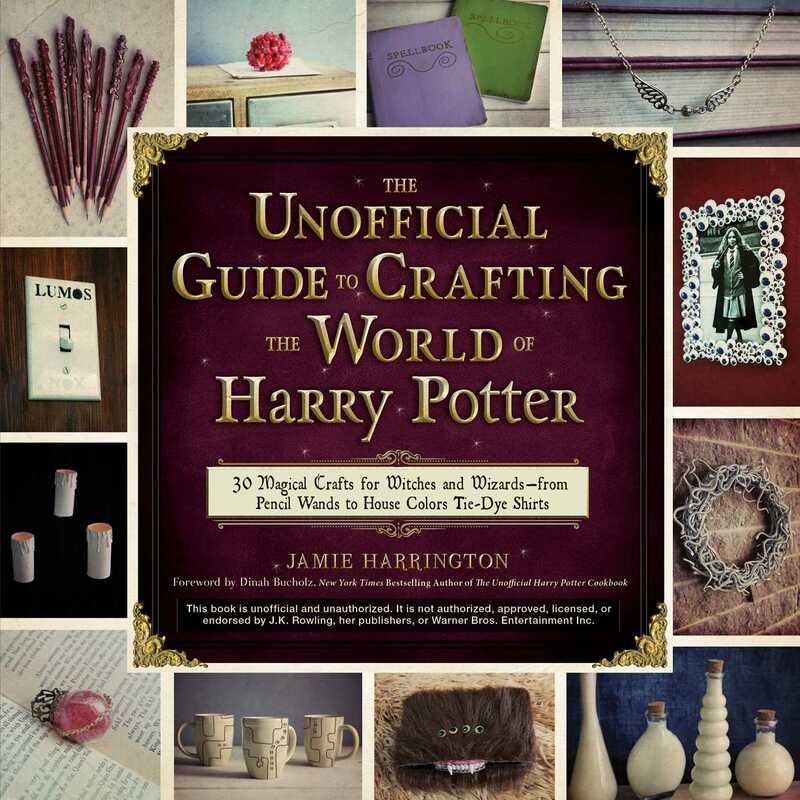 With a little Hogwarts creativity and the step-by-step guidance of this spellbinding book, you'll be able to transfigurate simple supplies and things around the house into everything from Remembrall Rings to Butterbeer Lip Balm to Nargles for your front lawn. You'll be as busy as Mrs. Weasley knitting her Christmas sweaters as you dive into dozens of Potterific projects. Relive the excitement of Harry's adventures with these genius crafts. Drop some homemade Pgymy Puff Bath Fizzies into the tub and pretend you're Moaning Myrtle. Keep memories of the Quidditch pitch close with your very own Golden Snitch Necklace. Or show off the Sorting Hat's selection with a House Colors Tie-Dye Shirt. Accio, crafting supplies--it's time for some wonderful wizardly fun!